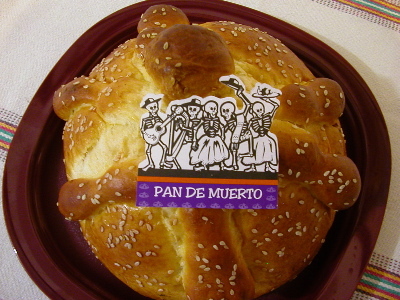 Pan de muerto is a special bread that is only made in October to put as an offering for the dead to enjoy when they return each year. 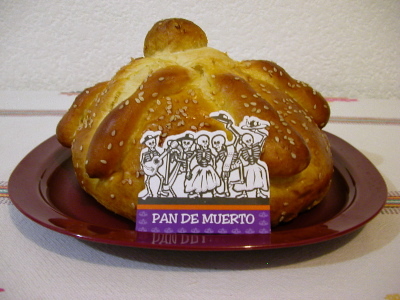 Pan de muerto is not just for the offering to the dead. 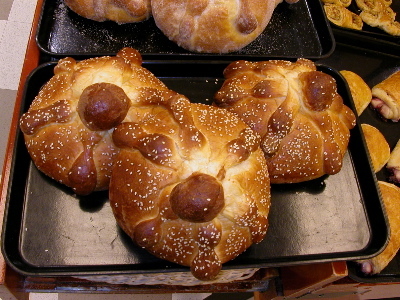 Many people eat this “bread of (the) dead” throughout the month of October. Everybody says it is very delicious, but to be really honest it is not much different from plain old white bread.